As a designer/jeweler, I have been designing and creating original pieces of jewelry in Sterling Silver and 14KT Gold-Filled metals on a full time basis since 1991. 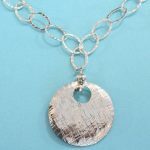 Prior to that time, I created and participated in juried craft shows throughout New England on a selective basis while raising our three children. My Vermont based studio, nestled in the hills of the Northeast Kingdom brings in the sun and reflects the influences of my travels. 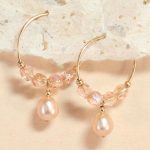 My journeys have brought an array of luscious Venetian Glass, gemstones from the Southwest and a variety of beautiful pearls and crystals in a spectrum of soft shades. My jewelry offers women an opportunity to adorn themselves with a style that is elegant, versatile and feminine. In the early 1970’s, I was fortunate to study Silversmithing, with Wesleyan Professor of Art, May Griswold. She deeply influenced my desire to design and create, for which I am forever grateful. I have appeared on Vermont television, asked to showcase my jewelry collection. My jewelry appears in gift shops and galleries throughout the country. 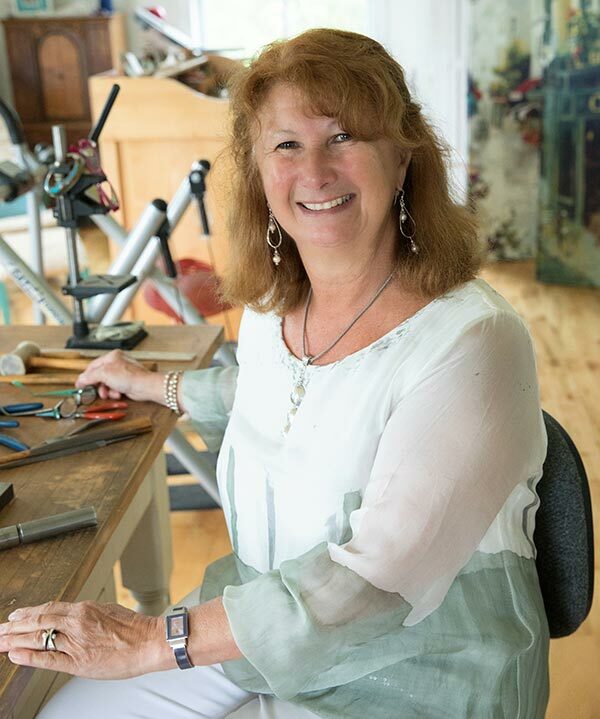 I have been honored to be awarded the Vermont Hand Crafters Lifetime Membership Award, the Old Deerfield Longtime Loyal Artist Award and was honored as a 2016/2017 inductee into the NAPW Professional Women’s VIP Woman of the Year Circle for excellence, leadership and commitment to my profession. My mission is to bring a pleasurable experience to all of you when wearing a piece of my Scelza Jewelry Design Collection. It is my belief to always give back. I work collaboratively with various organizations to raise money for their cause. It is a pleasure and an honor. I feel incredibly blessed to live my passion and to share it with so many wonderful customers. They have etched many wonderful memories into my unfolding journey and continue to enrich my life.